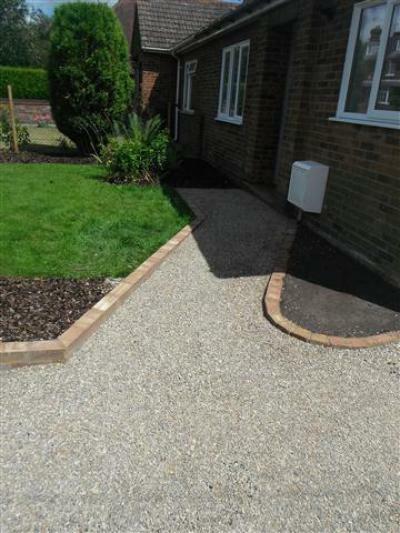 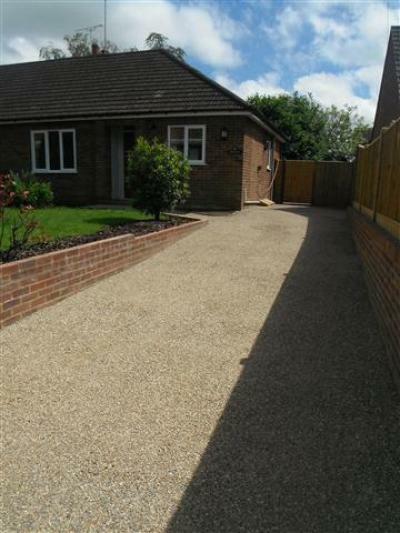 This is an alternative finish to the traditional tarmac driveway. 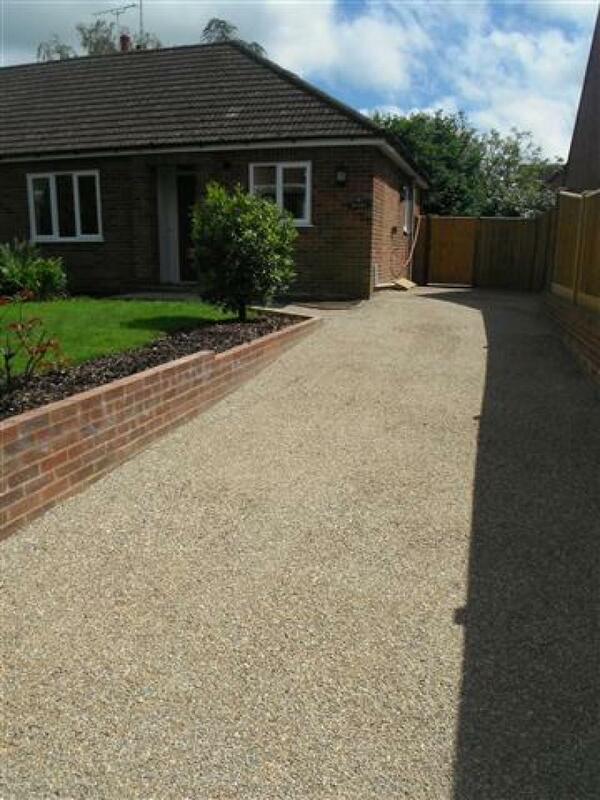 A wearing course layer of tarmacadam was laid and then a covering of 10mm shingle was applied prior to compaction. This gave a more decorative finish to the driveway.